We are engaged in manufacturing and supplying Special Purpose Cutting Tools, which is made using premium grade steel in various shapes and forms. At par with the international quality standards, these Special Purpose Cutting Tools offered by us at the most competitive prices. Available in micrograin solid carbide tools, solid carbide drills, reamers, end mills, slot drills and threading taps. We have been able to provide our customers with quality range of products, utilizing the skills and experienced of skilled professionals, who hold expertise in their area of operations. Timely delivery of the offered range at the customers’ end, has helped us in catering to the precise needs of our valuable customers in the most efficient manner. 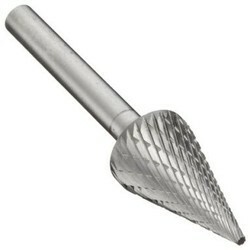 In our wide range of products, we are also offering our clients a supreme grade variety of Solid Carbide Cutting Tool. We offers a wide variety of end mills for just about any application. From standard end mills to long, short, double end, high spiral, roughing, miniature and more. We specialize in offering a wide range of HSS Drill Bit. These are available with us in all standard sizes and technical specifications following the precise demands and requirements of clients. Our devices are admired for their robustness and dimensional accuracy. Customers can avail these produces at affordable rates. We introduce ourself as Channel Partners for Kyocera Carbide cutting tools . Carbide Cutting Bit are one of the most reliable, autonomous and highly efficient ranges of our firm procurable at the most eminent market price. We are offering our customers an excellent quality range of Carbide Cutting Tools. These products are manufactured utilizing high grade raw materials in complete compliance with the international standards at our trusted vendors manufacturing unit. 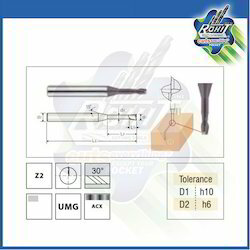 To offer flawless delivery at clients end, we pack these cutting tools in quality packing materials. Brazed Tipped Tools are brazed with silver brazing and it is lapped with diamond wheel and final product is paint and packed. It is use in various machines for various applications like in lathe machine for turning growing, threading etc.